It was the last place I ever expected to find myself: packed into the Royal Farms Arena with Patrick, Collin and Leo, staring at a mountain of dirt, earmuffs on, popcorn and cotton candy in hand as we eagerly awaited for the start of the show. I wasn’t there because I’m a big fan of Gravedigger (though an enormous remote control version patrols our house regularly), I was there because my boys were into monster trucks, and I’m their biggest fans. It was Saturday afternoon and we were all about to experience Monster Jam for the first time. Patrick and I like to call events like these “adventures” and we’ve been going on them since we met in the year 2000. Adventures can be marked on a calendar as an incentive to get through the kinds of days that drag on for every or test every last bit of your patience. They can also be a surprise or a last minute idea, where you pile everyone in the car and just go. An adventure could be something as simple as trying out a new restaurant or as intense as skydiving (okay, maybe not…yet). An adventure could be free like a walk along the Promenade in Havre de Grace or it could be something we save up for like an Ocean City vacation. An adventure is all about trying something new together (at least for one member of the party). It is a bonding experience. It is a means of indulging in the good things life has to offer. Above all, it is fun. Mary Poppins demonstrated her mastery of the fine art of adventure by taking Jane and Michael on a carousel horse race and to the greatest rooftop dance party of all time. The trick, of course, is that they had to take care of their responsibilities first. An adventure is a form of escape, but it should still be earned. 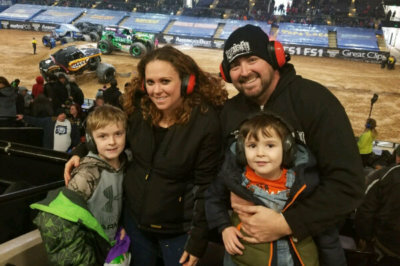 Our boys had been working hard in school and around the house, which is why a trip to Monster Jam was the perfect Valentine’s Day treat. In my first edition of “The Things We Do for Love,” I wrote about how important it is to take an interest in the things your loved ones care about. This is particularly true when planning adventures. My dad would take my brother to sporting events when we were growing up and he would take me to art museums. Adventures are also a good chance for parents to introduce their children to the things that are important them. My kids love visiting the Maryland Irish Festival and their trips to Camden Yards have probably made them lifelong O’s fans. 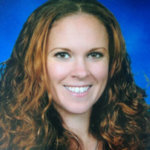 When the last of the monster trucks departed the arena, a sea of smiles and thunderous applause erupted from the stands. All of us had just witnessed gargantuan beasts soaring through the air like Jurassic acrobats. Patrick, Collin, Leo, and I delivered an excited play-by-play as we waited an hour to depart the garage. When we finally got home, we decided we’d take another adventure to Monster Jam, only we’d visit a big outdoor stadium with more obstacles – and this time we’re bringing Frank and Teagan.